For a brewery that spends most of its production hours brewing pale and golden ales for other labels, you’d have been very brave to wager that the first of Stockade’s limited releases would come well down the opposite end of the style spectrum in the form of a peach, salt and coriander infused gose. Yet that’s exactly what is was, and a fine one at that. Peachy Keen is a wheat beer at heart, with the corresponding haze and a colour of lemon juice. 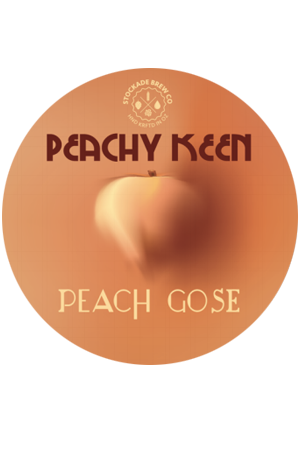 On the nose, thanks to a generous mash addition of fresh peaches, it’s bursting with sweet peach aromas like that of a fruit spritzer. Once you take a sip it all changes as you’re met with lemon-like acidity, saltiness and tartness from the sour mash. If it sounds a bit unusual, it is – particularly if you’ve never encountered a soured beer before – but it’s also tightly made and unusually pleasurable.